Please select options for Airaid Direct Fit Replacement Air Filter - SynthaFlow Oiled Filter (10-14 GT500) at the top of this page. Justin from AmericanMuscle.com, we're here with Chris Thompson from Airaid. He stopped by the shop to tell us a little more about these great Airaid products. We're very familiar with Airaid; we use them on our project cars with great success. Chris, what can you tell us about Airaid that makes it so unique? "Everything we do is digitally designed. It's engineered to fit, it's engineered to work, it's engineered to work without any special tuning. Now, tuning is much, much better. 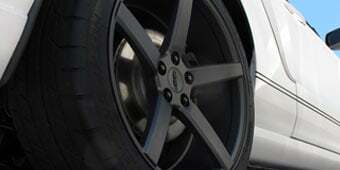 You guys offer a lot of great choices in aftermarket tuning. It'll only enhance the performance of the Mustang. We design our intakes so there's no special gluing required, there's no cutting or hacking of the engine required. If somebody decided to put a stock intake back on, they don't have to go back to Ford to buy another part to put the piece back on. Every intake we do is digitally designed. It's all about the design of the airflow and the linear charge to the throttle body. We use the rotational molding not so much for the heat soaking, but for the shape of the tube we can come up with. By using the rotational molding, it allows us to really give the right shape and form to make sure the product works well." We're very excited—we've got our 2013 Mustang here, probably not even 10 miles on this thing yet, and we already have an Airaid intake on it. Tell us a little more about that. "This is awesome. We're really excited to be here today. 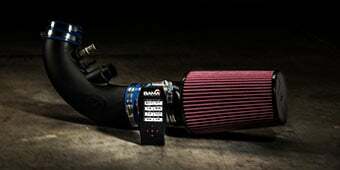 This is the first Airaid intake on a 2013 Mustang. We're really excited to be here with you guys. As you can see it fits. We know for sure it fits. We believe we have a hit. We'll do a little bit more testing on it before we release it to the public, but that should happen anytime now." 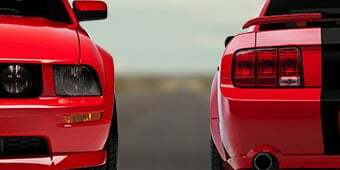 Now, you were telling me earlier, you're working with some legends in the Mustang world. "Well, we're excited about working with Parnelli Jones and his son PJ. 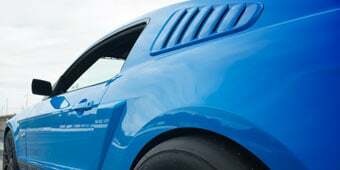 Parnelli's been instrumental in helping us come along with the Boss 302 intakes we're trying to develop. Nobody knows the heritage of the Boss 302 better than Parnelli Jones. We worked with PJ on the side by side utility vehicles (Razors, Rhinos, and TRX's). We also sponsored him in the past on his endeavors in the American Le Mans Series, which he ran last year." Chris, thank you so much for educating us on your great Airaid products. 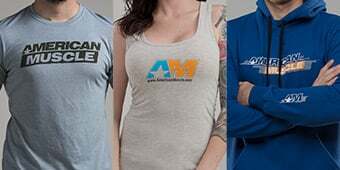 And as always, you can find those great Airaid products right here at AmericanMuscle.com. Improves Power And Fuel Efficiency. 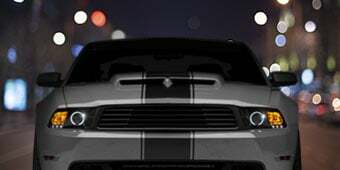 Increase the performance and fuel economy of your Shelby GT500 Mustang simply by replacing your restrictive factory paper air filter element with a new high flow Airaid SynthaFlow air filter to see an improvement in power and fuel efficiency, all while still providing excellent filtration. Superior SynthaFlow Filtration. This Airaid premium air filter provides far superior air filtration than the factory filter, since it is made with SynthaFlow® technology. SynthaFlow® is a synthetic nano-fiber material that traps the smallest dirt particles that ordinary cotton-gauze "performance" filters just can't capture. Airaid Premium Filters, with SynthaFlow® can capture particulates down to 2 microns in size. And best of all Premium Filters are washable and re-usable saving you money. Application. 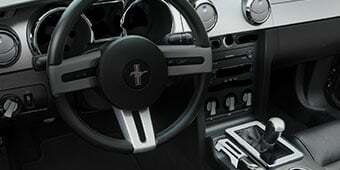 Airaid designed this SynthaFlow OE style Air filter to be a direct drop-in replacement for the 2010-2014 Shelby GT500 Mustangs using the factory air box, with no cutting or modifications required. Looks a lot better than the stock yellow paper filter and with the oil coating, I'm sure will trap more dirt keeping the intake air much cleaner. 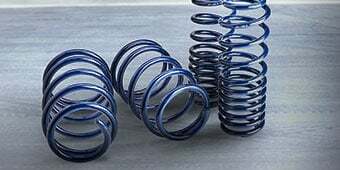 It's a very good product, fits perfectly, personally, I don't find that a got a boost in power, my car has already 734 HP so it's hard to tell! great replacement. a snap to install. no more replacement filter again. I highly recommend this filter. I wanted to replace the factory filter in my 2010 GT500 with its chicken wire air restrictor at the throat with a reusable direct air filter. I also didn't want to spend a ton of money on a completely new CAI system when HP gains would be very minimal over the factory CAI. I've got some more things to do to the engine but this is a great start. Snake needs clean air to breathe. Took maybe 10 minutes to swap filters. Bought it with an AFE already, but the Airaid is a lot better quality and fit. For the same price as a one time use Motorcraft. 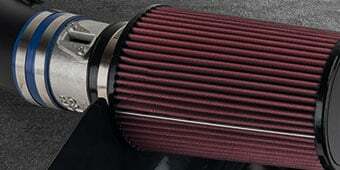 Horsepower might not change ,but having more filter surface area can't hurt. Plus, it looks sweet. Great filter, already enjoy one in my '13 SHO. Excellent choice. Installed in less than 1 minute. Lifetime use for my shelby is a plus. Easy install. Form fit function just like OE has tabs for factory CAI on my 12 GT500. Takes less then 15 min for install!!! No brainier! Better than OEM. 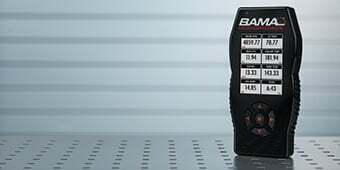 Why pay the dealer over $100 for an inferior product that isn't reuseable? Really nice quality built air filter. Flows better than stock paper element and looks way better too. This filter fit exactly as described in the OEM location in less than 5 minutes with just a screwdriver! Great look over the stock one!